On Instagram, blue ticks (meaning your account is verified) are only really seen among big brands and public figures. Getting verified on the platform and a blue tick next to your name has remained a mystery for a long time with no one really knowing how you get one or what goes on behind the scenes - until now. The form is located within the Settings menu under the option ‘Request Verification’. 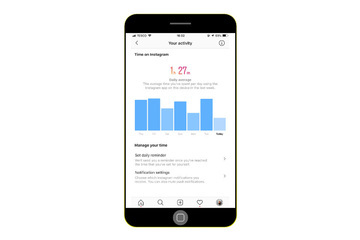 Users fill out the form, provide the relevant ID and documents (driver's licence, passport, other ID cards) and then wait until Instagram reviews the request. While this does provide an easier way for users to become verified, it's worth reading over what Instagram requires for a verified account as most users probably won’t make the cut. Earlier this year, Instagram began testing an emoji shortcut bar which they have now released. This bar appears when you start to write a comment and is made up of the emojis that you use the most on Instagram, meaning you have easy access and can comment even quicker than before. We often see features being released by Instagram which are very similar to ones already existing on Snapchat (and vice versa! ), the Nametags being one of them. 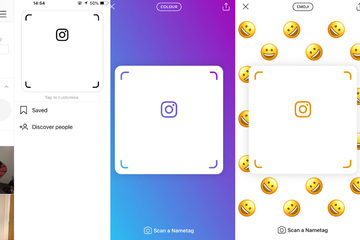 This feature (said to be a clone of Snapchat’s ‘Snapcodes’) lets users create a custom scannable tag which can be shared, sent and scanned by other users allowing them to follow that account. These Nametags could make it easier for users to promote their accounts, making it simple to follow new accounts or people by scanning their Nametag. Or, if you’re a business or social media star, you could post your Nametag across your different social media platforms, print onto posters or make merchandise from it. The feature is also customisable, allowing users to choose different backgrounds for their tag or even use a selfie. Whilst this is still work in progress, we thought we’d include it anyway. Instagram is working on a standalone app dedicated to shopping. 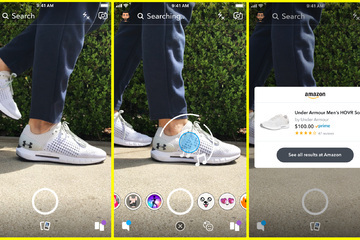 The app - which is rumoured to be called IG Shopping will let users browse collections and products from brands they follow and purchase from them directly within the app. Whilst we don’t know when the app may launch, it’s development is still ongoing so we’re sure you’ll be hearing about it again in one of our upcoming blogs. Twitter has announced that it will now put live streams and broadcasts from accounts you follow at the top of your timeline (homepage) to make it easier for users to see what is happening in real time. This new feature will include breaking news, personalities and sport. Twitter has also recently released a new audio-only broadcast feature for users which is available within the app and on the Periscope app (the Twitter owned live streaming app). Starting an audio only broadcast works the same as a regular broadcast and once recorded users can users can choose to share, save or delete. As audio podcasts increase in popularity, this feature sees Twitter increase its appeal to the growing podcast audience and industry. 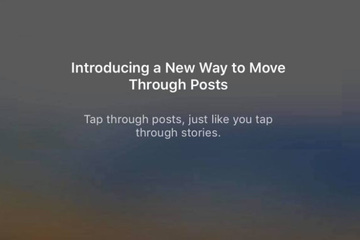 Earlier in this blog I mentioned how we often see features released by Instagram which seem to follow ones that exist on Snapchat and vice versa. Well here is an example of a feature which has been recently released on Snapchat but has been around on Instagram for quite a while. 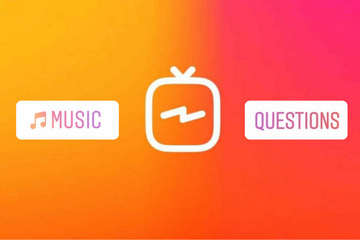 Snapchat’s bounce feature works like Instagram's boomerang feature in allowing users to playback and loop videos. Simply select a clip, press and drag the slider to choose the part of the video which you want to loop and it will transform it into a Bounce. Previously, when you sent a message on Snapchat, it would automatically delete when opened, but Snapchat have now introduced a new feature which gives users the chance to keep a one-to-one chat conversation for up to 24 hours. Meaning they won’t disappear after you read them - which is a relief for any users who have ever opened a chat and totally forgotten what they were previously talking about. This feature is easily accessible through Chat settings within each conversation. Facebook has recently revamped the way business pages appear on its mobile platform to make interacting with businesses easier. Popular actions will be featured front and centre on the page, allowing users to easily make reservations at a restaurant or book an appointment at a salon. Stories will also appear on business pages to allow businesses to interact with their consumers and share information about events and promotions. Facebook are also adding Related Pages to point users in the direction of other local businesses. After launching a newly redesigned Campaign Manager platform a few months ago, LinkedIn is now allowing businesses to create, manage and track Dynamic Ad campaigns through the Campaign Manager platform. Dynamic Ads run on LinkedIn’s desktop feed and are customised to different users based on publicly available information on their profiles. These ads have delivered up to double the click-through rate of traditional display ads. LinkedIn have also recently released voice messaging, giving users more ways to have conversations. Users can now send and receive up to one minute long voice messages. Announced as a more convenient way to chat, LinkedIn have said that these voice messages allow users to easily say messages on the go rather than having to type them. So there you go, our first Latest in Social blog! We’ll see you back here same time next month for the latest updates. In the meantime, if you’re looking into how social media can benefit your business and are in need of some help or advice, contact our MD Steve Sykes here or give us a call on 01484 30 20 10.